I know most Apple users are big on their operating system and the momentum that mobile devices have propelled Apple to new heights but face it, it’s not quite a post PC world just yet.. There are some misnomers out there and I have to say I hear it a lot from folks who have MacBook Pro’s but are running Windows XP and assuming that there are more computers out there still running XP on BootCamp on their machines that haven’t upgraded Windows and are about two generations behind in their criticisms today.. Apple’s smear campaign against Windows Vista..
Let’s take a look at some facts about Windows and the current state of the PC..
Now some people out there in the world are still complaining that there are “just too many copies of IE 6 out there in the wild in use today on their older machines.. This is very false to FACT.. In fact, two years ago, users held a funeral for IE 6.. Microsoft even sent flowers.. So what do people use if they aren’t on Windows XP ?? Many use Internet Explorer 9 which is the current version. What do you use if you are on XP ? Well many of you should know that Microsoft ended the shelf life of Windows XP back in 2008.. While we are on the subject JUST HOW MANY PEOPLE are out there today RUNNING Windows XP and Internet Explorer 6 ?? As of February 2012 the last count world-wide was 7.1%. Most maybe in China. and I’d ask you are they running on a LICENSED product that is EOL.. When did you last run an operating system and a browser that was released over 12 years ago.. If you are well maybe you should consider some alternatives..
Microsoft will ship Windows 8 with Internet Explorer 10 a fully functional HTML 5 web browser that has been totally re-written to support HTML 5 from the ground up with the IE 9 release. Not even the critics can complain about this one.. So how many copies of other IE Browsers are out there in use today ? 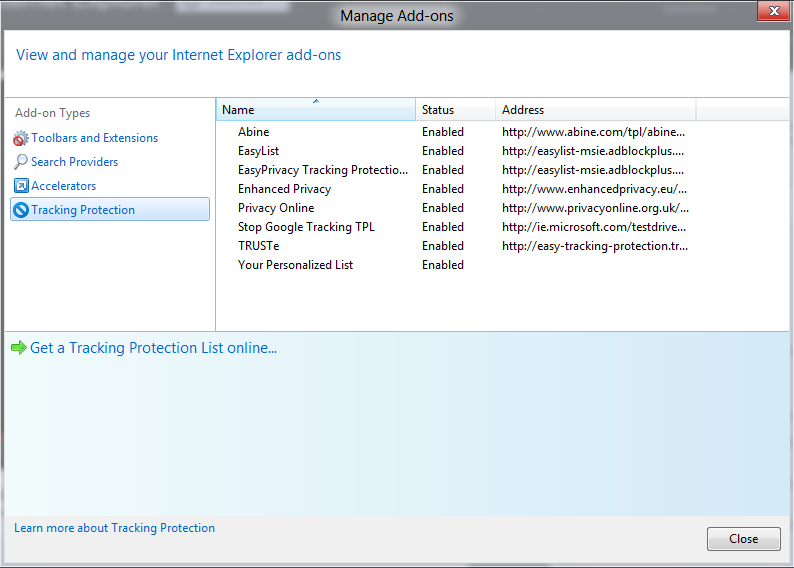 Including IE 8 ? IE 8 (Internet Explorer Version 8 is the last version that runs on XP? A recent live snapshot tells us the story.. In fact the people complaining about IE 8 should be the ones supporting not complaining as it’s more used than Mozilla Firefox and Google Chrome , which (besides for one day ended) ends up being the most used browser in the world. So why aren’t web standards people lining up to support it ? Could we call it anti- Microsoft Bias ?? I sure could.. Microsoft turned on standards mode (STRICT) HTML 4 standards compliance on by default with IE 8 with HTML 4, Yet site creators at-large refused to support opt-in for IE 8 so we could all put IE to rest, Microsoft answered that problem with IE 9.0 a modern HTML 5 browser. So Microsoft’s new version, which works with Windows Vista and above, brings us true HTML 5 compatibility and maintains website standards. If you navigate to a new site that isn’t compatible then it will flip back into a compatibility mode that is most compliant with that site. Other nice features includes SANDBOXING which can isolate your browser into one Memory Space so it can’t infect malware into the rest of the machine.. It also brings AD BLOCKING technology right into the browser so you can block advertising and MALWARE much easier, should it try to get in..
Have you not upgraded your machine to Vista, or did and unhappy with performance or not upgraded to Windows 7 because you were afraid you didn’t have enough power to run it easily ? Just wait until you get to the end of the article, I have a majorly GOOD surprise for you. HINT: Windows 8 supports lower spec devices such as Mobile Phones and Tablets that run at about the same speed and graphics power of your very old PC.. That means you can UPGRADE that OLD PC and still have a working machine and right now if you do and install over the internet it’s absolutely free until the final release comes out.. Your old PC *MAY EVEN* be faster.. Just make sure your computer display is capable of 1024×768 resolution. Netbooks with a minimum screen of1024x768 are supported. Some early netbooks only do 1024×600 (still supported with Windows 7). You can download and install the Windows 8 consumer preview right from the web right now no media needed just a broadband connection and it should work fine even on your old Windows XP BOX.. In review: So if you are a MacBook Pro Owner telling folks that the world is still on IE 6 and Windows XP maybe you had better clue in, you are a few years behind the eight ball with your technology and what you are saying to others about Microsoft’s OS and Web Browser just might be a little bit behind the times and you might be giving out wrong information to the people that trust you to be knowledgeable may find you are giving them bad and wrong information. I am not hacking on you for having that MacBook Pro but isn’t it time to at least download the Windows 8 preview and give yourself a reality check ? Stop with the XP/IE 6 nonsense. Windows 8 Running on an Apple MacBook Air Wow ain’t that trackpad neat.. Check out Duncan’s YouTube Channel for more..
1) Why hack on Windows ? It’s a testament to Windows XP that 11 years later that you are still using it..
2) Why not try out Windows 7 or Windows 8.. You can even install it as a second OS. In fact Windows 8 is free right now to try as a consumer preview and installs right off the internet (no media necessary) just be sure to write down your product key when it shows you one.. You just might find it impressive and easier and actually work better after a few weeks than what you have right now. It also migrates all of your old Windows Apps, settings and files so you don’t lose anything. 3) Please, stop hacking on IE, what you are talking about is ten year old software that most people in their right mind left long ago for new versions with less and now basically no compatibility issues. OLD AND STILL XP USERS.. If you are an old XP user that hasn’t given up the ghost and can’t get updates, TRY Windows 8. The requirements for your old PC to stay usable is less than ever before because this version scales to lower power processors such as the ones found in tablets and phones. Most all of your legacy hardware is supported too with drivers (even now. Below is a youtube video of an Acer Aspire Netbook (slow processor 1 gig of ram) it’s pretty cool..
Do you love Vista and don’t want to leave it, maybe you will miss the background movies too much ?? If you are and you are a bit discouraged about your performance there is always a quick fix.. It’s called Process Lasso by Bitsum.. Please download it today and feel the real POWER in Vista..
Obviously, FAUX Metro is the way to go.. With the options presented here, I could re-write this app’s UI myself in a few minutes as a real METRO app. So why they did a classic desktop app alone here is beyond me or one that (shocker) works both places and integrates into both. This is a little bit of a letdown considering this is marketed as a beta. Give us one app to rule them all.. It’s not that difficult is it ? 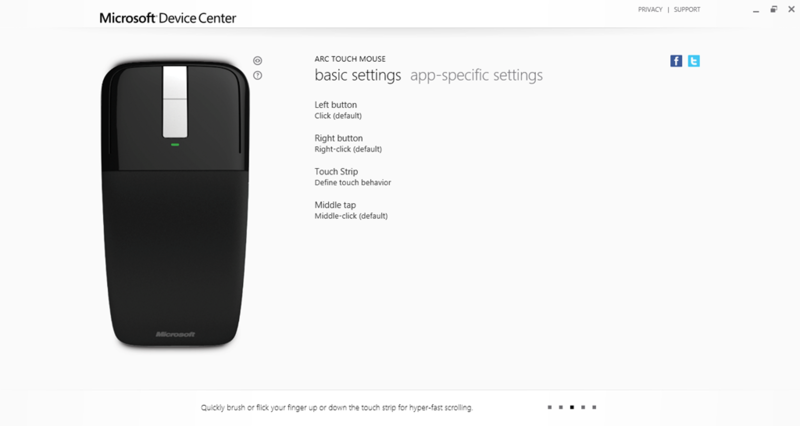 The app is still quite functional and usable in the “Classic Desktop Mode” Here’s what it looked like when it found my Arc Touch Mouse.. Will this be a common thing ? Will Microsoft still use classic desktop mode for things ? Is it too soon to have expected this built into the metro control panel ? Just what is Expression Blend for Visual Studio ? Why is Expression Blend now a Visual Studio product ? Well as most folks familiar with Windows development know, the process is not just about the programmer but it is also about incorporating good design for your user. About six years ago Microsoft Expression Blend was introduced as a what you see is what you get interface design tool and versions of this program have appeared to support not just WPF (Windows Presentation Foundation) tools but also support platforms as Silverlight (for .NET web browser based applications), Phone 7, and Sketchflow prototyping. All of these tools (while containing it’s own code editor) always allowed you to integrate directly with the Visual Studio code IDE (Integrated Development Environment). Late last year when Microsoft decided that it was going to start focusing on putting together a next generation Windows environment that became Windows 8, they decided to promote better synergy between all platform product groups. Blend has always been directly part of that and it made sense that Microsoft could start integrating all of these environments together. Developers find themselves in Blend too. Out of this (and the fact that Expression Blend and Expression Encoder were tightly part of the same workflow for many users out there and Expression Design had been supplanted by Adobe Photoshop and Adobe Illustrator Importing directly from Blend it made sense that in a revamped environment that Blend would make sense to be part of Visual Studio and a version would come with or be available to every version of Visual Studio available out there including Express Editions. When the product groups inside Microsoft were re-organized and integrated Microsoft also began sharing code between the Visual Studio XAML designer group and the Blend Group to make a more consistent environment between Blend and Visual Studio. This has produced some spectacular results. 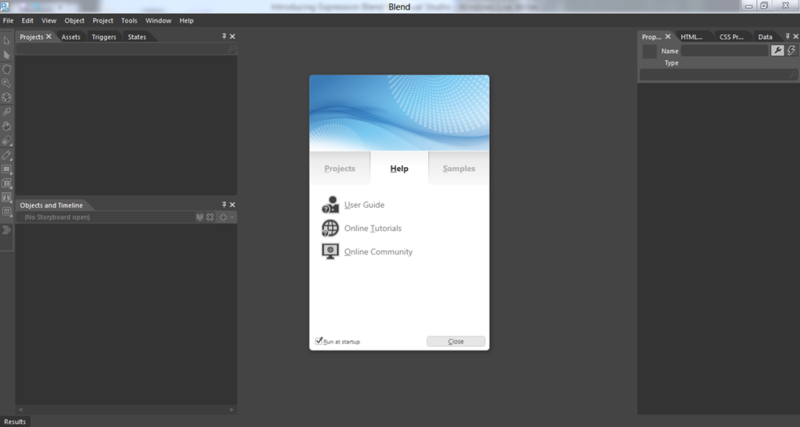 It also meant a version of Blend should make it to all development platforms Microsoft supports. 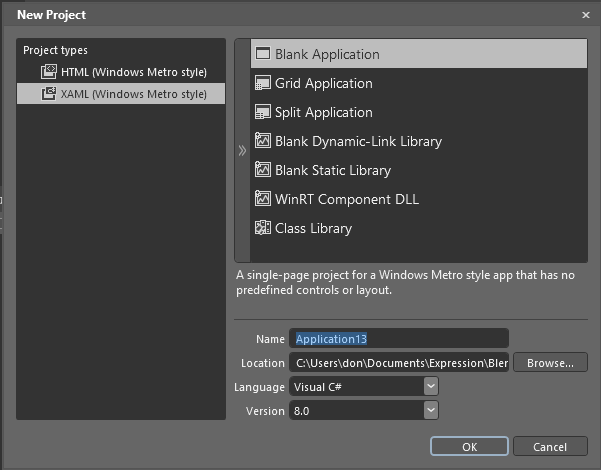 From the first glance we see that the New Blend is not a METRO app itself, but looks familiar and runs in the “classic desktop” environment for now.. In fact, besides some better more readable icons, it looks very much like the same old Blend we all know and love. However, there are a FEW additions to support HTML 5 and CSS 3. And yes Virginia there is support for CSS 3 Media Queries before you ask.. The project menu has been re-designed.. 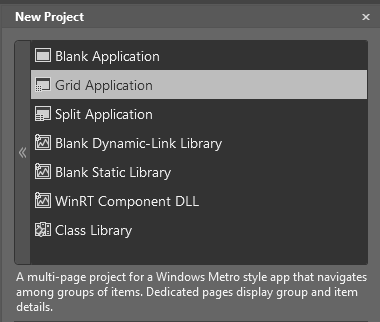 In a WinRT/ Metro app you will notice some difference to your “Solution”. 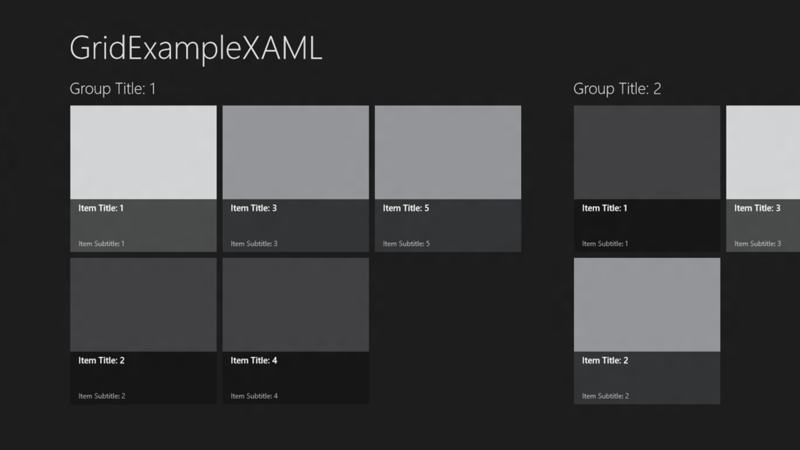 There is now a “Common” folder with some new files that MUST be present to make the application work, these include BindableBase.cs, a set of standard XAML styles for the application called “StandardStyles.xaml”, RichText Column support, and LayoutAwarePage.cs. There are also two default converters files present for all metro apps called a BooleanNegation converter and a BooleantoVisibility converter. They help you convert datatypes from the ones you use in code to the types that are required for on-screen manipulation. Also present in this beta (though creating a sample datasource thus far isn’t present in this beta) is a sample datasource so you do have a template for creating and working with Sample Data. It can be easily modified to support your own data (more on this later). 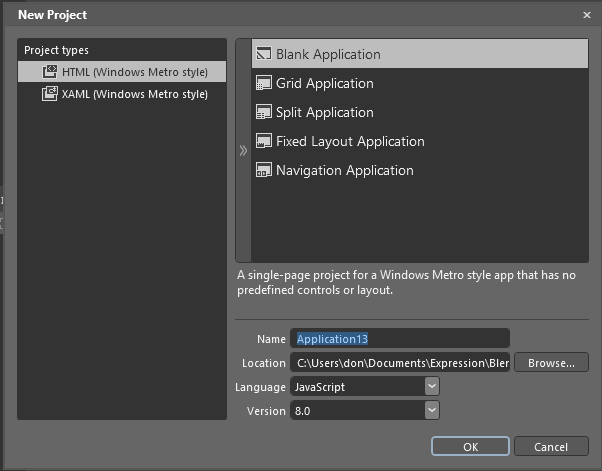 There is also a package.appxmanifest file that is required for metro apps. Much like windows phone apps the manifest allows the app to be identified and signed with the appropriate identity information and developer “signatures”. As you can see below the sample app manifest contains identity information, pre-requisites for OS Versioning, a resources section to provide Windows the basic information to hook the application into the METRO environment and a capabilities section much like Windows Phone to identify things like if the application can access the internet or not. Upfront we notice that there are METRO style monochrome icons that are much more readable.. If we go to create a “New Project” we will notice a few new project types and templates. 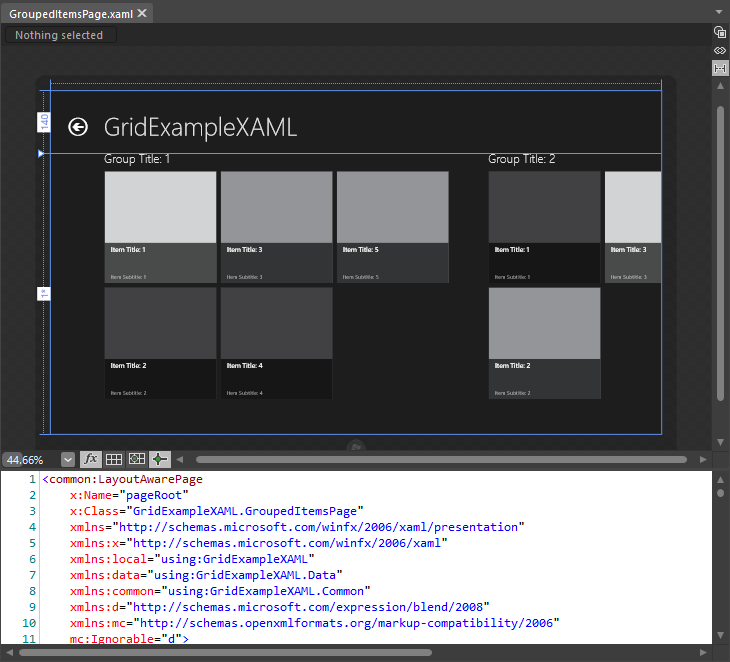 There is HTML and XAML available for Creating a Windows 8/WinRT Metro Style Application. 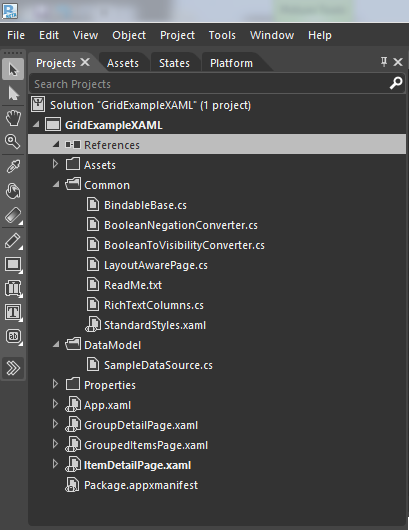 XAML support isn’t forgotten either with it’s own sets of templates. 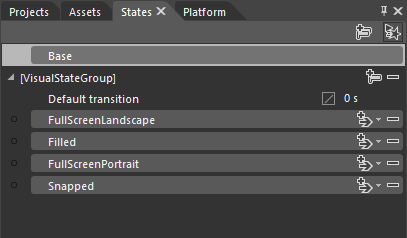 If you select a “Grid Application”, Blend will provide you with a “Single Page Project that navigates betwee groups of items and has dedicated “Master-Detail” pages to display Items.. 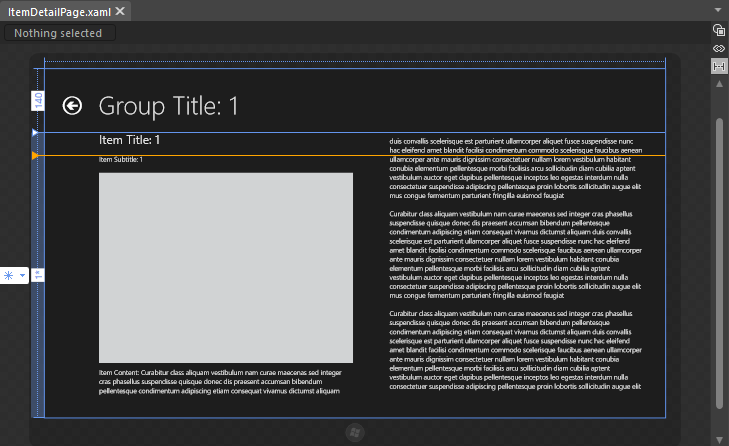 Here is a view of the template’s master-detail pages in action. 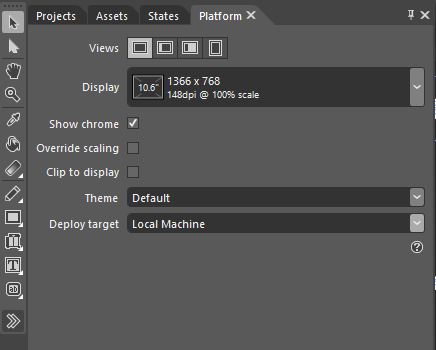 We can deploy this skeleton code either directly to the environment or test it on a Windows Tablet Device Simulator.. We can set this up through a panel in the “Platform” panel in Blend..
You can set the screen size to match a particular on market device’s resolution and DPI when previewing and check your layouts with Horizontal and Vertical functionality (portrait/landscape) as well as scaling.. You can set the deploy target also to your local machine instead of the Emulator/Simulator as shown in the graphic above.. In the past if you were not a Silverlight designer you will not notice any default states or defined states in the visual state manager. In a WPF application you had to define all of these yourself.. For METRO apps there are are few already defined states that accommodate different screen modes.. These including Landscape (full screen) mode, Filled Mode, Portrait mode, and Snapped mode. 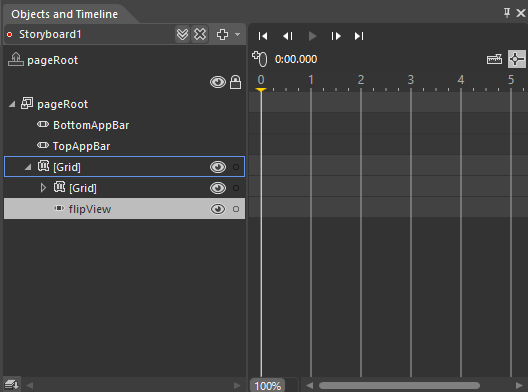 I highly recommend you do not delete any of these unless your “METRO” app is only supporting one of these modes which again is HIGHLY NOT recommended..
You can also create complex animations with the OBJECTS and TIMELINE storyboard option.. 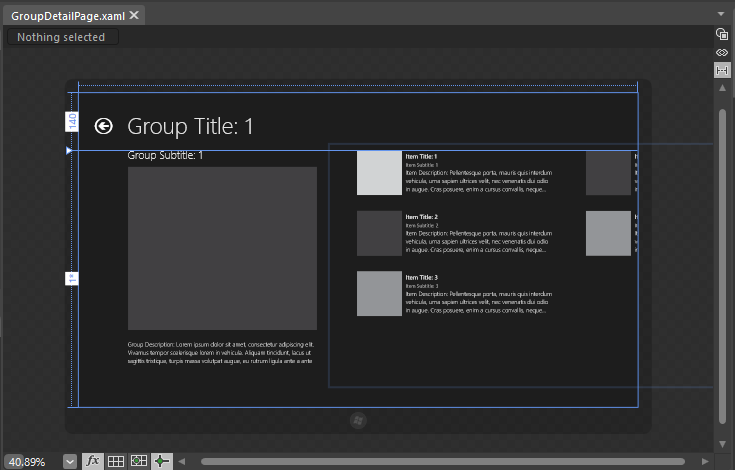 In this example I am creating a new storyboard on one of the new METRO “FlipView” controls.. 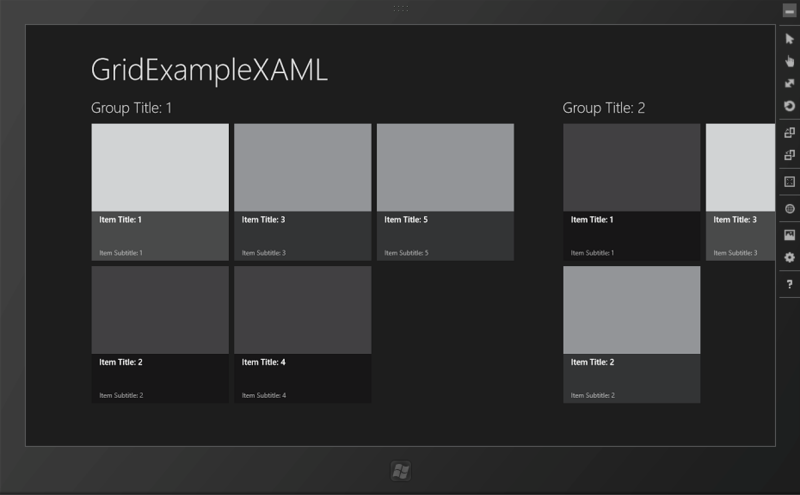 Lets take a look at our ItemDetailPage.xaml’s C plus plus (.CPP) and header (.h) files.. The code isn’t that much different than .NET code for the skeleton and the new templates take much of the guess workout and make doing a C++ native app even for beginning programmers a doable thing. One of the first things I noticed about C++ apps is that they are already nicely touch enabled and on the properties panel there are some new options..
Part two will continue our look at Blend for Visual Studio and what’s missing from Blend Ultimate and will look at Visual Studio 11 Integration and HTML 5/CSS 3 layout based applications for Windows 8..